If you’re happy to run without a heart rate monitor then you’ll need a good reason to look beyond the excellent new Garmin Forerunner 10. It’s light, it’s accurate, it’s very straightforward to use, and best of all you can be running with invaluable GPS data for less than £100! Sadly I’m an indifferent runner (44:15 for 10km – this year’s aim is to go under 20:00 for 5km) but part of that is because I’ve never been satisfied with either a phone or my Garmin Edge bike GPS when running… and I’m one of those geeks who is motivated by the data. Suffice to say, that’s all changed. Amazingly for such a small watch, the Forerunner 10 has an extremely fast lock-on time (making my phone and especially my wife’s old Forerunner 305 look embarrassing!). It has also demonstrated good accuracy under foliage – I’ve included a mouse-rollover screen grab comparing my expensive phone and the Forerunner 10 on the same section of wooded path: really rather good (roll over the captions to flip the image). Compared to bigger GPS aerials (as on my Edge 705) the Forerunner probably does suffer, but it’s clearly no slouch! The Forerunner 10 is a physically compact watch and has been designed (and delivers) around a premise of ease of use. While the screen isn’t the biggest, the fact that it’s displaying a limited amount of information makes it particularly clear. 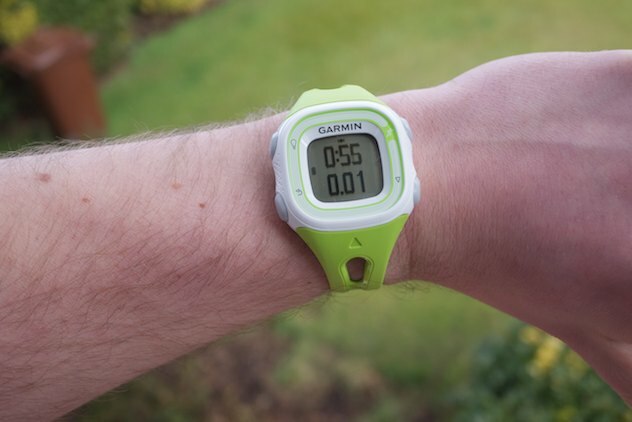 When you can easily pay three times as much for a GPS, it might be natural to think of the Garmin Forerunner 10 as a cheap and cut-down (possibly inadequate) option. For most people, nothing could be further from the truth. The Forerunner 10 supports key functionality from far more expensive models and this is one thing that sets it aside from other entry-level competitors. The Forerunner 10 supports Run/Walk type workouts, allowing you to easily input the length of time for both interval and recovery, which it then cycles between. For instance: five minutes running with one minute rest between each (it doesn’t care if you actually ‘walk’ – you can do a proper sprint interval session if you wish). The only limitation is that you have to specify the intervals by time (i.e. 8 minutes if you want to run one mile at 08:00 pace) which could require a bit of mental arithmetic for fractions of a mile, or fractions of a minute pace. Only simple (identical length) intervals are supported within any given workout, so you can’t do pyramids (run for 5 minutes, rest, 4 minutes, rest, etc.) but unless you get extremely keen and extremely fit, it’s all you really need from a running watch. 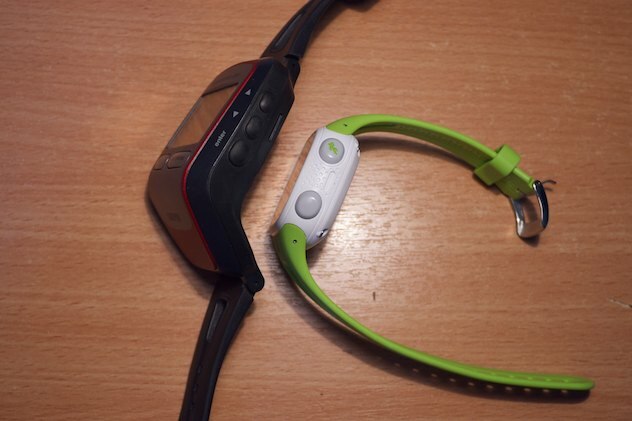 Another great feature supported by the Forerunner 10 is the virtual pacer. This is just what it sounds like – input a desired speed into the watch and it will tell you if you are going too fast or too slow while you train. Irritatingly however, enabling the virtual pacer cancels your walk/run intervals, and vice-versa. 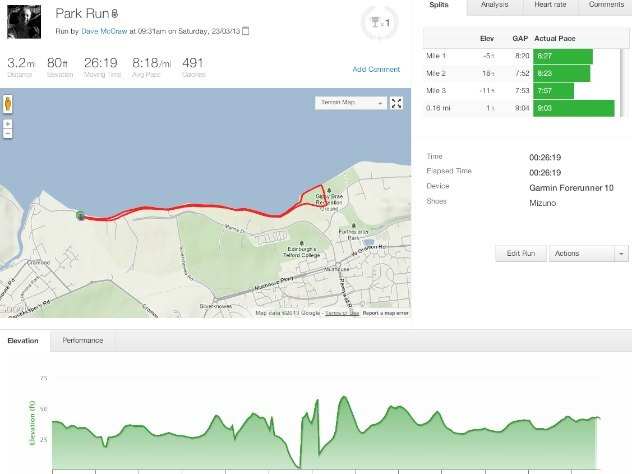 This is very frustrating because otherwise the Forerunner 10 would be almost perfect – why on earth Garmin didn’t wire the pacer to apply only to the ‘run’ part of walk/run is beyond me. It’s very easy to hit the lap button on the Forerunner 10 whenever you like – but to save you having to take your eyes off the road and count down every time, you can just tell the watch to lap automatically every mile (or kilometer). Unlike more expensive watches, you can’t tell it to lap using GPS position (i.e. every time you run a circuit of a park), just by distance, and you can’t change the distance to be anything other than 1 mile/kilometer. Finally there’s the auto pause function. This simply stops the clock on your session when your speed drops below walking speed (for instance, because you’re waiting to cross a road) and magically starts it again when you speed up. You may prefer to pause manually (or prefer to record the whole time, so you have a better idea how much rest you had while running) but as an urban runner, this definitely qualifies as a nice to have in my book. One limitation of Garmin’s Forerunner 10 is the history size: it will only recall and display the last seven runs through the history menu. However, the eighth and older runs are not deleted and can be synced up with your computer at any time. It’s bizarre the number of reviews that seem to suggest the watch itself is limited to seven runs before it starts overwriting itself… based on the size of the .FIT files generated and the free space when I mount the Forerunner 10 as a USB drive, I estimate around 50 hours of running could be stored before it would physically run out of space. The Record feature is also really nice- it remembers your fastest time at various distances (regardless of how long ago your PB was – i.e. not just within the 7 current history workouts) and will let you know when you’ve broken it so you can immediately celebrate! The Forerunner 10 comes with a small USB harness that plugs into any computer to both charge and sync the device. 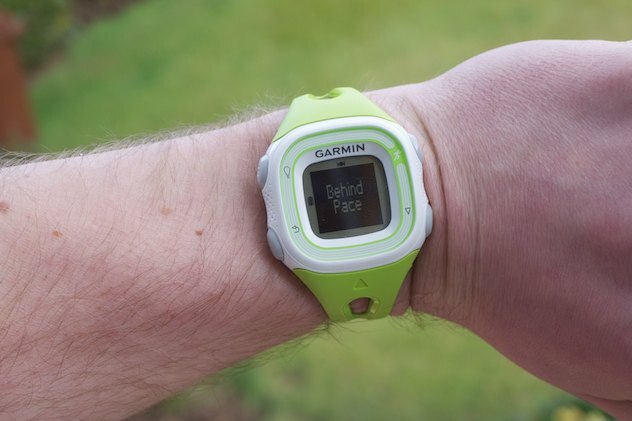 It doesn’t take too long to charge, and the watch appears as a USB mass storage device (just like a USB pen) so you can simply copy your workout .FIT files manually – alternatively, the Garmin Communicator browser plugin can take care of this all for you. Needless to say, a lot has been written elsewhere about Garmin Connect (or Strava, or MapMyRun, or…) so I won’t go into specifics regarding *what* service you should sync with. 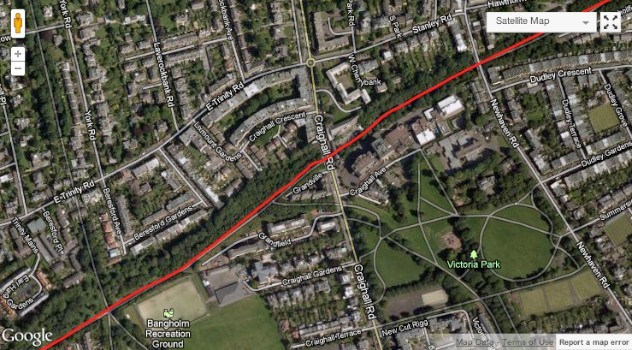 However, in case you’re not familiar with GPS sports devices at all, syncing with one of these free community sites uploads the ‘trace’ of your run and it can then be viewed on a map, as part of a training calendar, and (sometimes) analysed for further data. Strava, for instance, takes into account the gradient you were running over and produces a “grade adjusted” equivalent pace for each lap; if you run uphill for a mile then turn around and run back down, you can still compare your relative efforts. With the Forerunner 10, Garmin have absolutely nailed the useability of a GPS watch, minimised physical bulk and weight, but critically maintained GPS accuracy and a blazing fast satellite lock that puts some other models to shame. Training functions such as Walk/Run, Virtual Pacer, Auto-lap and auto-pause are well thought out, work well, and add real value (one or two of the above I just couldn’t be without). The inability to use the pacer for the run sections of walk/run intervals is the only major wobble in a standout product. The only reason I’d recommend spending more would be to access Ant+ connectivity for accessories (ie. 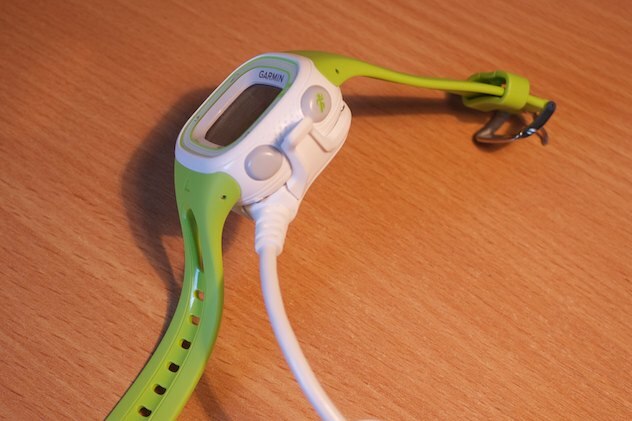 a heart rate monitor), but it’s a significant jump – the HR belt alone sells for £40 or more. I bought my Garmin Forerunner 10 for a good price on Wiggle. While you may find it a couple of pounds cheaper elsewhere, I like the reassurance of Wiggle’s no quibble free returns policy with Collect+. That’s worth a little extra in my opinion. Got any comments or questions? Please feel free to get in touch using the comments form below, and I’ll get back to you! Sorry for the late response – I’ve been offline during a house move (curse that ISP!). I hope the marathon went well? If you have a function running (such as the pacer) then the toggle view will cycle through it as well as the data screens. Does that help? Hi – My old 205 is just about had it (it has turned itself off twice recently mid race!) and I am now looking at the Forerunner 10. Just a quick question, a friend recently said that you have to connect the FR10 to review your splits (that you cant do it on screen), but it doesn’t sound like you have to do that from your review. Hi, I was wondering is there a data field you can choose that gives average pace? I think I read somewhere it was current oace. You can set Pace to show one of the following: Current Pace, Lap Pace, Average Pace, Current Speed, Lap Speed, Average Speed. In the data fields you will be able to see only the 1 option you chose for Pace, out of the 6 above. Just got my FR10, only went on one run with it. Love the simplicty and ease of use, it’s got all the options I would ever need. As a man, how did you find the smaller fit of the women’s watch? I want to purchase the smallest lightest watch possible, but I am worried that the women’s watch may not be long enough. Buying the Forerunner for the missus and you stopped my headache over Ultremo v Conti 4000. 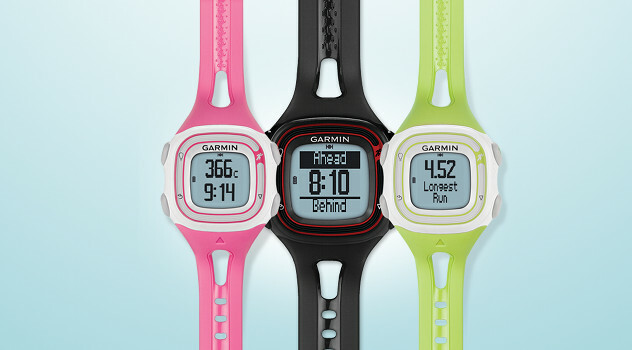 Hi Dave, thanks for review on Garmin forerunner 110. I haven’t ever used a GPS watch before, was always happy tripping the run the old fashion way … By car !! 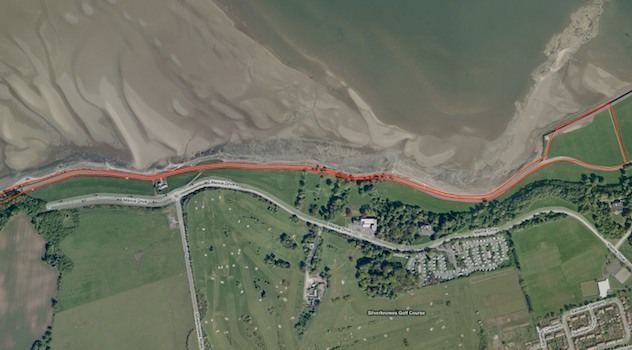 However as I am using more off road routes this isn’t always possible, my only concern for a GPS watch is, if I cover it with my sleeve, will it still pick up the satellites? Sorry for the late reply, I missed your comment while we were off touring. I know there are triathlon-specific garmin watches, but much more pricey/bulky and full of features I don’t want…would the FR10 work ok while swimming? It’s waterproofed so that it will survive immersion, but you probably won’t get a very good trace off it. I don’t really swim outdoors so I’ve not tried this out! It would work OK to give your splits using the lap button (and then should work fine as a GPS on the bike and run).